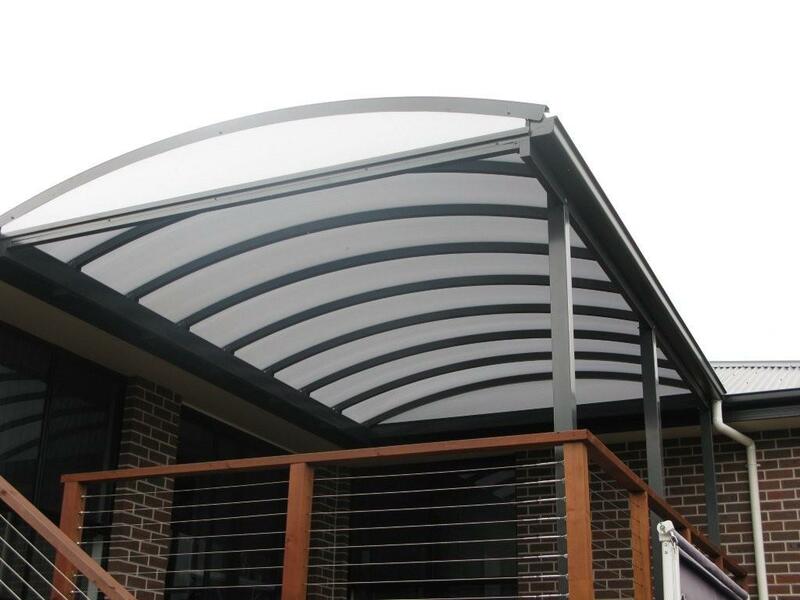 If you want a contemporary look to complement your home, why not consider an aluminium curved pergola roof from Outside Concepts? Both these examples have been designed and built by Outside Concepts Launceston branch. 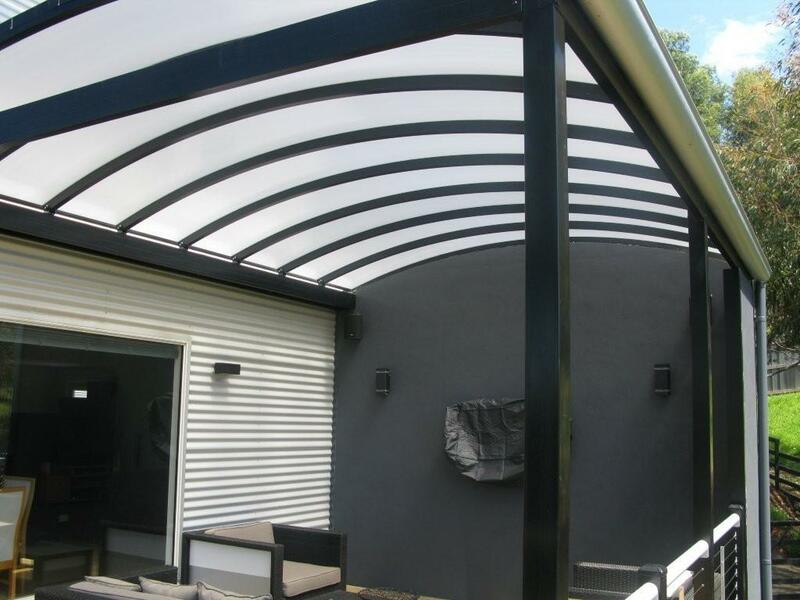 Both feature curved aluminium rafters and use Sunpal Multiwall roof sheets by Palram. Sunpal Multiwall roof sheets utilise layers of honeycomb polycarbonate to provide maximum heat reflection while maintaining good light transmission. Being lightweight, strong and very sleek Sunpal Multi represent the very best in modern building technologies. Editors note: Since these photos were taken, both pergolas are now enclosed with Pinz Ziptrak blinds. We regularly feature Pinz blinds on this blog due to their versatility, quality of manufacture and their steadily increasing popularity. To see more jobs featuring Pinz click on the Outdoor blinds/Cafe blinds category on the right. Would like to arrange for a free quote please.